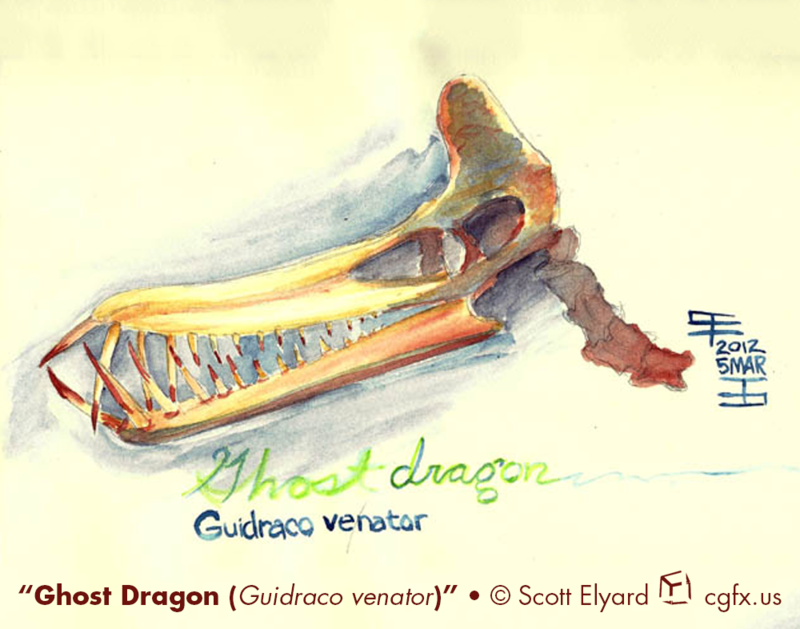 Watercolor study of Guidraco venator, the Ghost Dragon. Trikeratos, product of biology and technology. If someone asked me what it meant, I suppose I’d say, “a fanciful expression of how technology can illuminate details of the distant past.” Yes, that's what I'd say, assuming I can remember it. The skeleton for this piece is based on photos taken of the Triceratops mount at the Cleveland Museum of Natural History (I was attending SVP in 2008, and had the opportunity to take lots of photo reference). A mother Albertosaurus and her 3 chicks go for a stroll on a cold day in early winter through the towering dawn redwood forests of Cretaceous Alaska. Available as mugs, art prints, and more on Redbubble and Design By Humans! The Alaskan ceratopsian dinosaur, Pachyrhinosaurus perotorum, has a chat with a large dragonfly. Available as shirts, posters, and more on NeatoShop and Design By Humans! Pachyrhinosaurus canadensis in purple and green. Available as shirts, mugs, and more on RedBubble.